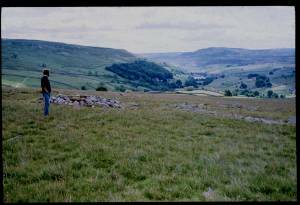 Location Arkengarthdale. High Eskeleth. Low Moor. Record Name High Eskeleth. Low Moor. 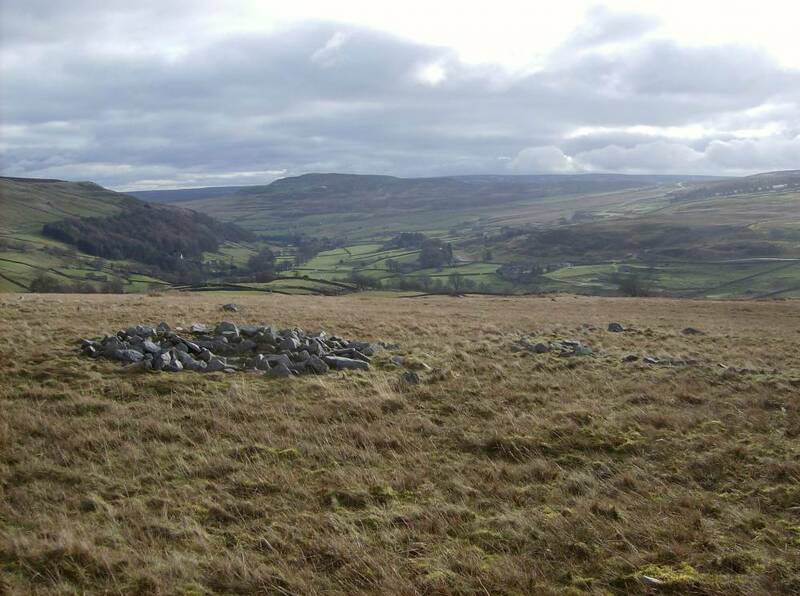 Two adjacent ring banks and small round cairn. Record Description Two adjacent ring banks previously interpreted as ring cairns but now interpreted as round houses, the first visible as a prominent penannular stone dump ring bank approximately 10m diameter, check, in rough pasture with adjacent low round cairn). One of the ring banks is prominant but is visible only as apenannular ring having been quarried away for half the perimeter. The second ring bank structure is just discernable adjacent, see TCL Survey Plan. Additional Notes This site was originally interpreted as a ring cairn. However these two slight ring banks present are now considered by the author more likely to be two successive adjacent round house enclosures. 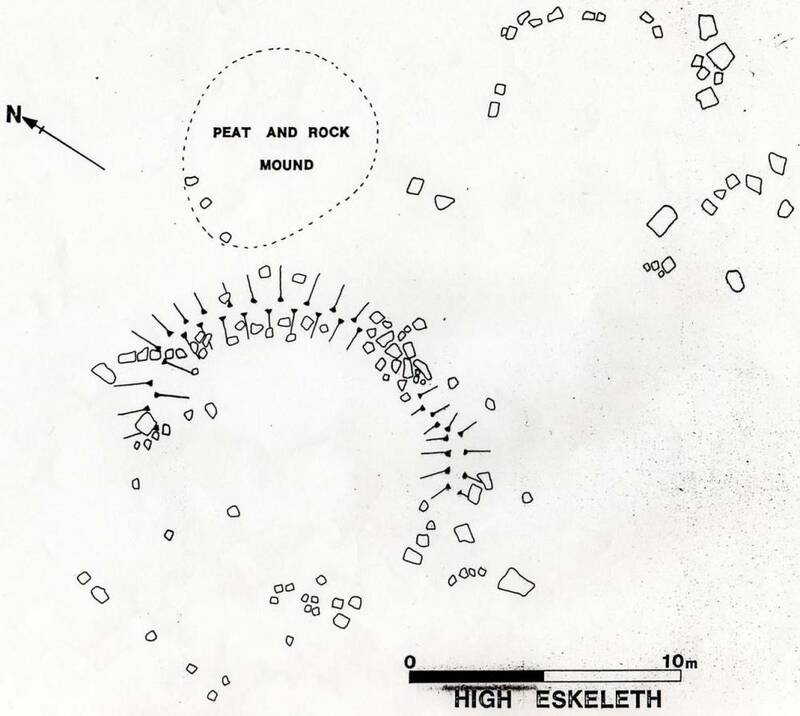 The adjacent round cairn may have been constructed from stones removed from the later of the two round houses, perhaps as a burial mound when the later house was abandoned, now visible as a penannular ring. These ring banks, if proved to be a settlement may be associated with the field system (recorded seperately and settlement of two round houses some 300m to the south and lower down the slope also recorded separately. The archaeological remains on Low Moor, Eskeleth have not yet been comprehensively surveyed and this should be regarded as a ptiority for SWAAG. Image 1 Description High Eskeleth. Low Moor. 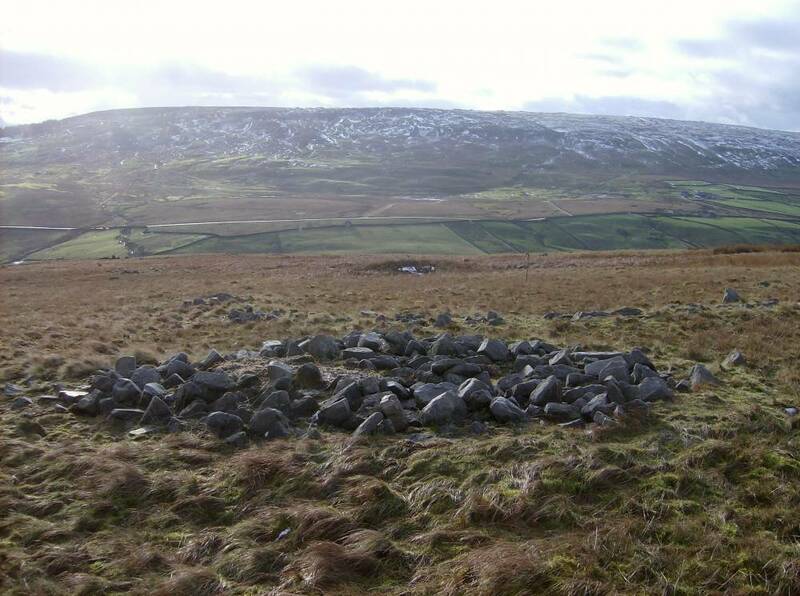 Penannular ring bank and small cairn. Second ring bank left of photo. Image 2 Description High Eskeleth. Low Moor. 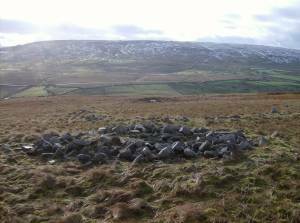 Penannular ring bank and small cairn with Andrew Fleming. 1990. Image 3 Description High Eskeleth. Low Moor. Penannular ring bank and small cairn. Site plan, TCL1990. Image 4 Description High Eskeleth. Low Moor. 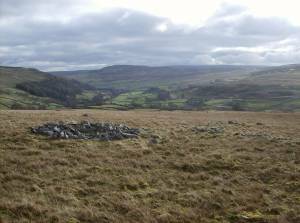 Penannular ring bank and small cairn.